Welcome to Watch List Season, friends. UCLA quarterback Josh Rosen was included on the preseason watch list for the Maxwell Award, given annually to the best college football player, on Monday. Last year’s Maxwell Award winner, Louisville’s Lamar Jackson, returns to defend his crown. Rosen is one of 35 quarterbacks on the 84-player watch list. Linebacker Kenny Young earned a watch list nod for the Bednarik Award, which is awarded to the nation’s best defensive player. 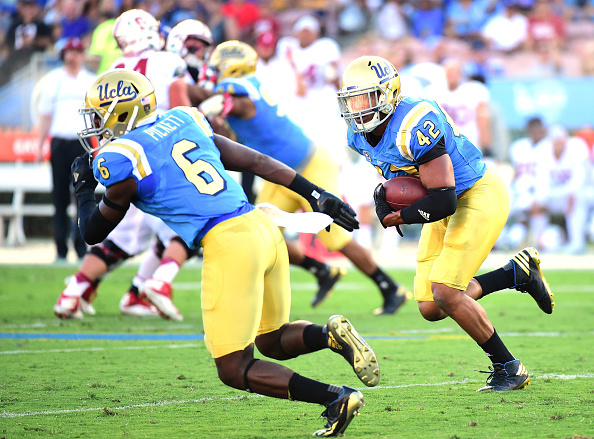 Young is UCLA’s leading returning tackler, and will represent the UCLA defense at Pac-12 Media Days later this month. More watch lists will be released almost every day for the next two weeks as the season inches closer. This entry was posted in Football and tagged Josh Rosen, Kenny Young, watch lists by Thuc Nhi Nguyen. Bookmark the permalink. i rememember when only one person won a award, know a days every one gets a trophy but i guess thats the world we live in, smdh!